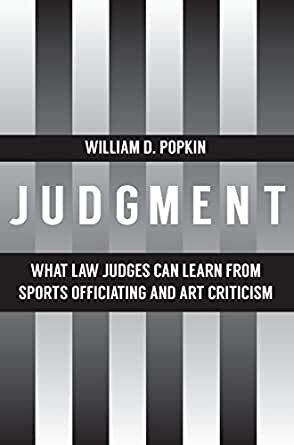 Judgment: What Law Judges Can Learn from Sports Officiating and Art Criticism - Kindle edition by William D. Popkin. Professional & Technical Kindle eBooks @ Amazon.com. William Popkin is a Walter W. Foskett Professor Emeritus of Law at Indiana University Maurer School of Law.